At Summit, we know that every student has different passions, growth areas, learning needs, and goals for the future. The Summit Learning Teacher Residency prepares you to teach using a personalized approach to learning with the goal of equipping every student to live a fulfilled life of well-being. The Summit Learning Teacher Residency is a one-year teacher preparation program during which you are a student teaching in a Summit classroom while also completing credentialing coursework leading to a California Single Subject Preliminary Teaching Credential and optionally towards a Master of Arts in Teaching. As a Resident, you will work with your cooperating teacher to engage students in deeper learning projects, empower them as self-directed learners, help students develop the habits and skills that lead to success, and nurture them to build a strong sense of community. 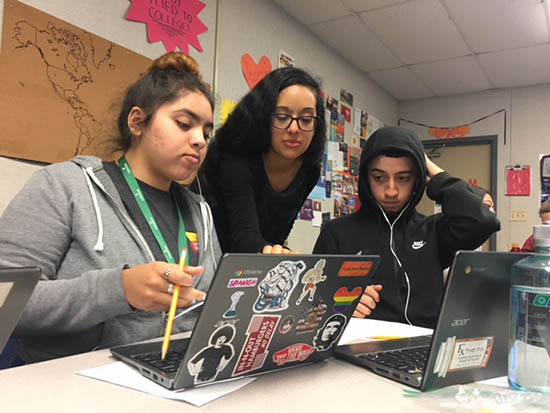 Your learning experiences and coursework mirror Summit’s personalized learning approach for students; you’ll engage in a project-based curriculum that is competency-based, self-directed, and student-centered. Over the course of the year, you will gradually increase your level of responsibility in the classroom from observation to independently teaching one class section for the second semester. Throughout the year, you will engage in critical conversations about diversity, equity, and inclusion. By the end of the program, you will be prepared to teach a Summit Learning classroom where you will impact students’ lives. Read about the benefits of our program. Learn more about program locations, available subject areas, tuition and financial support. Hear stories directly from program participants. Join the Summit Learning Teacher Residency mailing list for program and application updates. Please email residency@summitps.org for more information. For more information about the Summit Learning Teacher Residency policies, please download our Educator Preparation Programs Participating Teacher Handbook in PDF format.